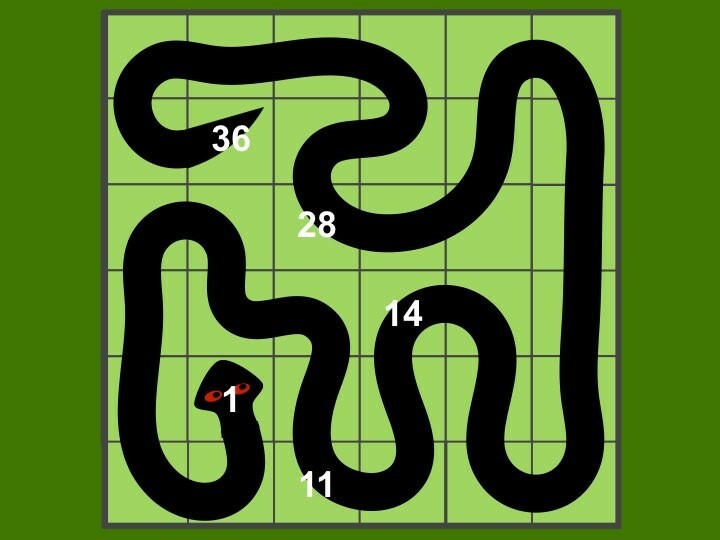 Willie Worm is an enjoyable and challenging visual spatial problem, which encourages persistence in problem solving, as well as providing students with a purposeful reason for practicing counting and writing numbers from 1 to 25. Download printable puzzle-sheets here. Some are purposefully impossible. Here is an extension from Willie Wiggle Wiggle Worm: Given that Willie Wiggle Wiggle Worm is in some position, find the fewest number of clues you must give so that somebody else can figure it out. For this position I think that five clues are needed, but I’m really not sure. This is difficult to prove, but a fun mini-competition. I wonder: For all positions in an NxN box, what are the greatest and smallest number of clues required?